This is a sponsored post by PLANTLIFE but all opinions are our own. It's a new year and if you are like me + Savannah you are trying to create new habits that will aid in an improved and stress-free life. 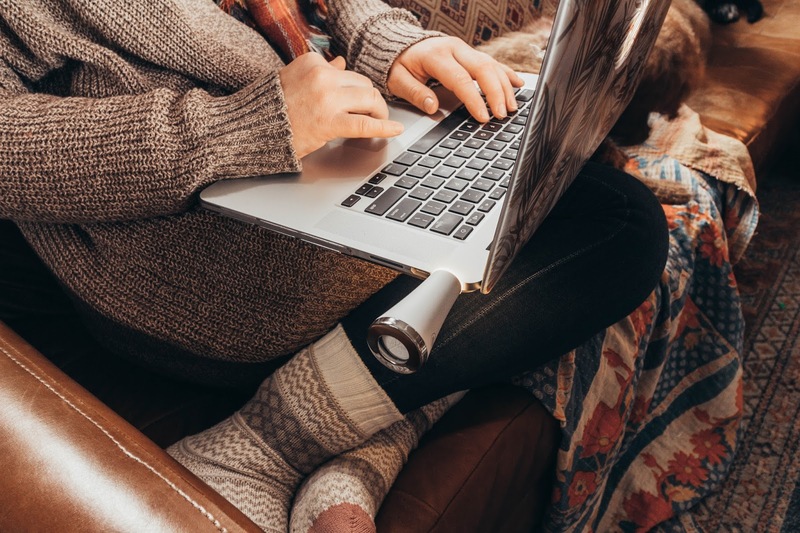 More and more of us are working from home these days, and it’s really hard to get out of that ‘home and lounging’ mood and feel like your in a workplace. So sometimes we need a few things to get the juices flowing. 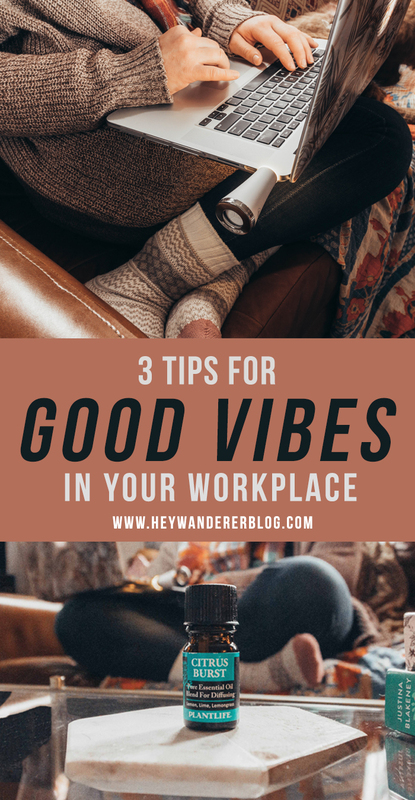 Today we are sharing 3 tips on how to improve your work environment, because let's be honest, we could all use a little less stress and a little more focus in our lives. 1. Keep it clean. This is an area Savannah + I struggle with the most. We use so many supplies and do so many DIY projects that having a clean workspace can be challenging. However, there is a drastic difference in my emotional state when our workspace is clean + tidy. This has to be a priority if you want to work efficiently + effectively whilst also staying sane. 2. Listen to music. This is an essential to a happy work environment. You can find so many cool playlists on online streaming services. Figure out what kind of music gets you in a work vibe. You may have to experiment with different types of music to find out what helps get you in the groove. Also, maybe you need different kinds of music for different days. If I need to really concentrate or read something, I like to listen to music like Explosions in the Sky or other music without words. 3. Cleanse the air. Try using a diffuser like PlantLife to help improve your air quality through essential oils. What's so cool about this diffuser and why it is unlike any others is that it works in your home and car. I know I can always use good vibes in all of those places. There are so many healthy benefits to diffusing essential oils. It's a no-brainer. Right now peppermint oil is a life saver through cold and flu season because it can really aid in decongestion. 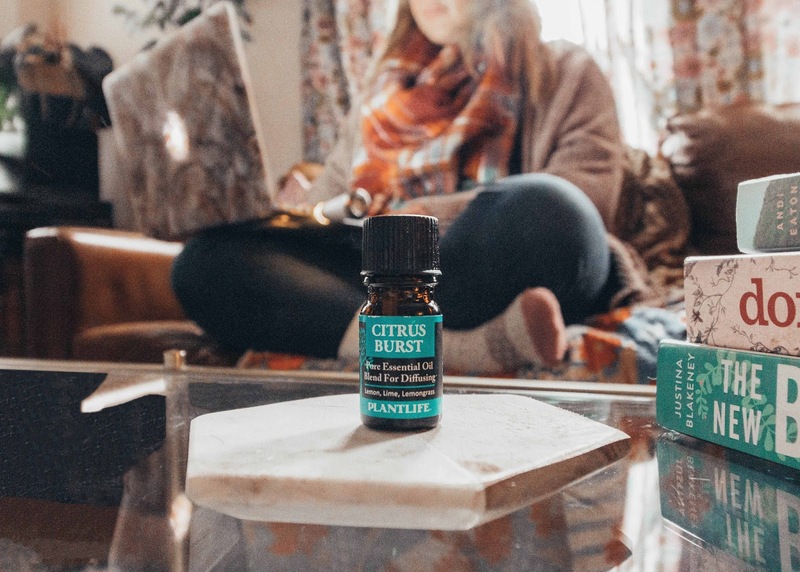 Also, citrus oil (which is what comes with the PlantLife diffuser) is great for boosting energy + creativity. Hello! That's exactly what I need when I'm working. Essential oils are great because you can easily customize your blends to suit your current needs. Get yourself this diffuser on Amazon and boost that energy! We would love to hear some of your favorite oil blends! Also, comment below on some of your favorite ways to improve your work environment and to increase the good vibes. We always love to hear your tips. Oh and when you order your diffuser, send us a DM over on Instagram so we can see how you use yours!